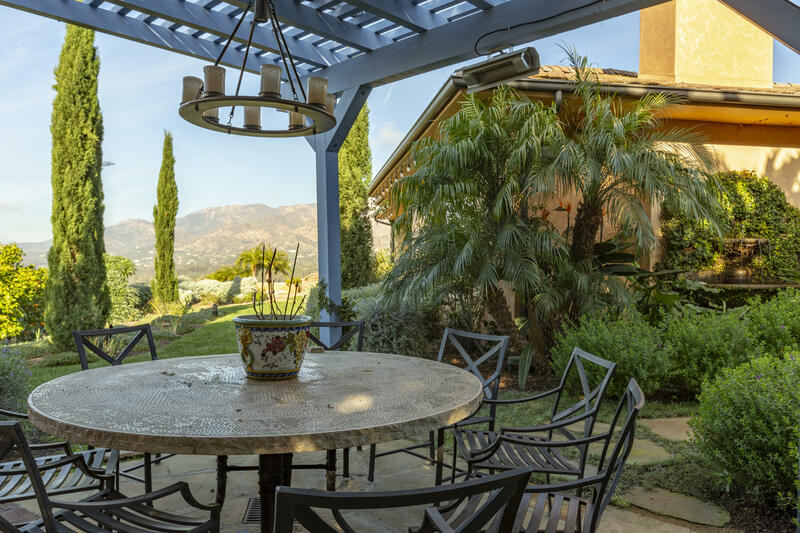 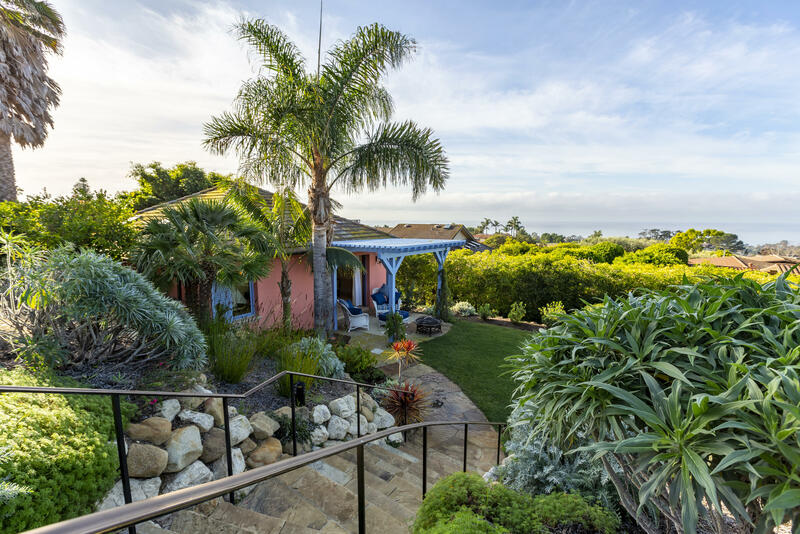 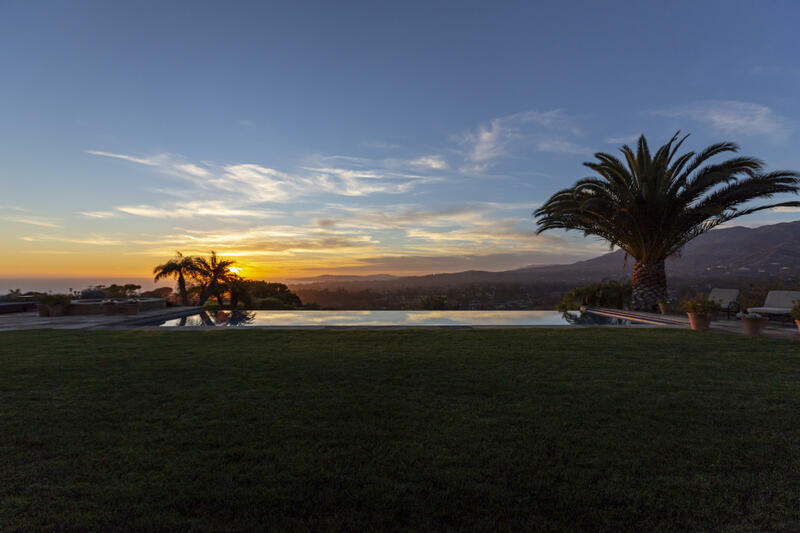 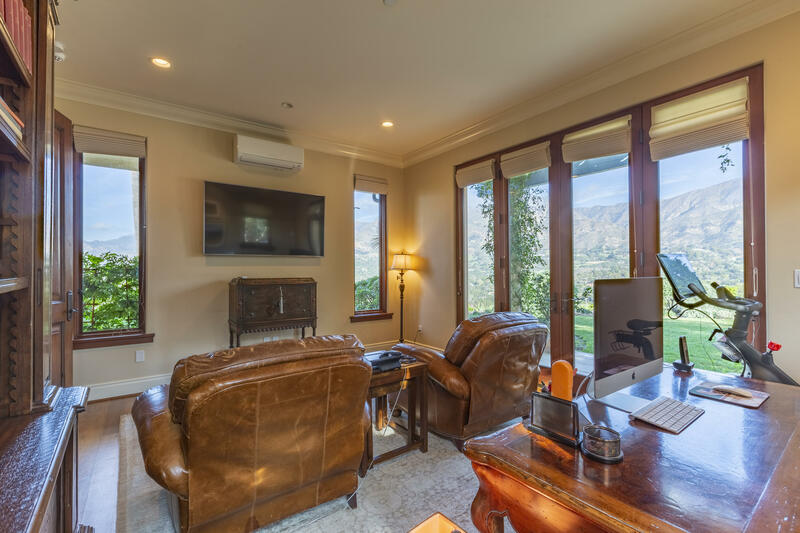 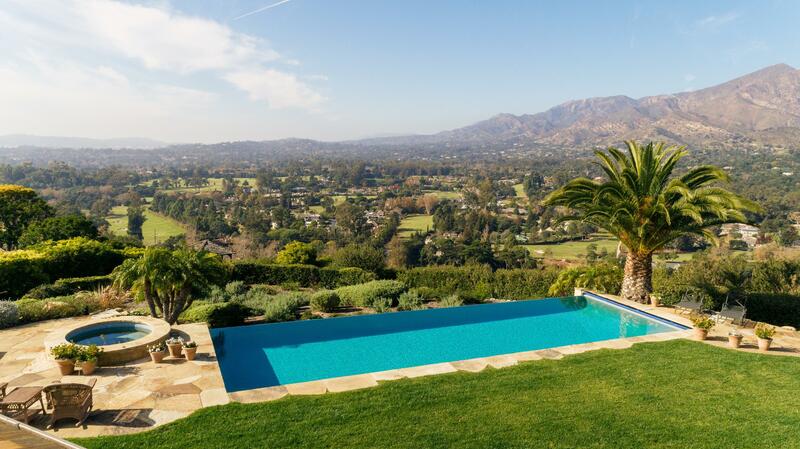 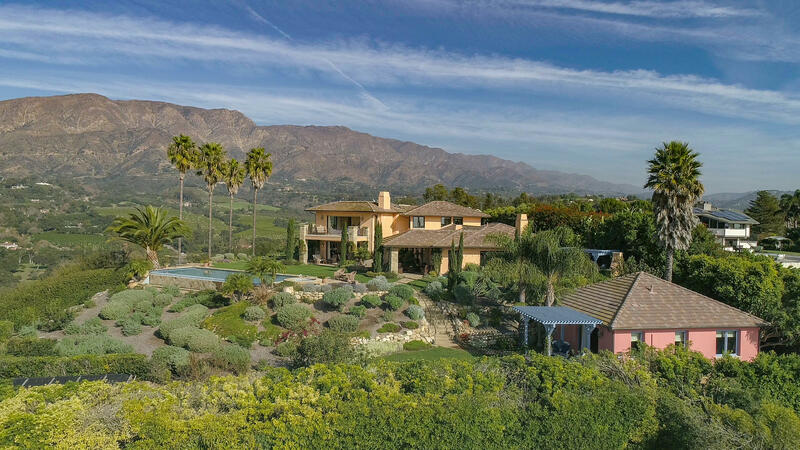 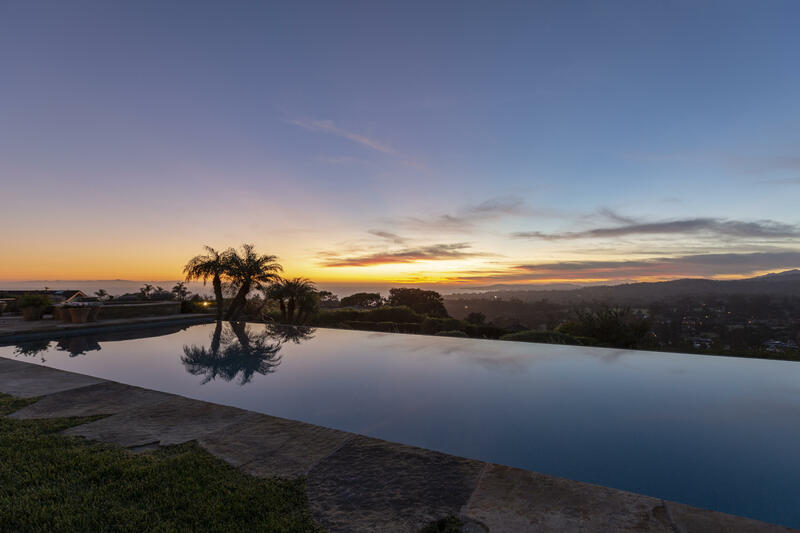 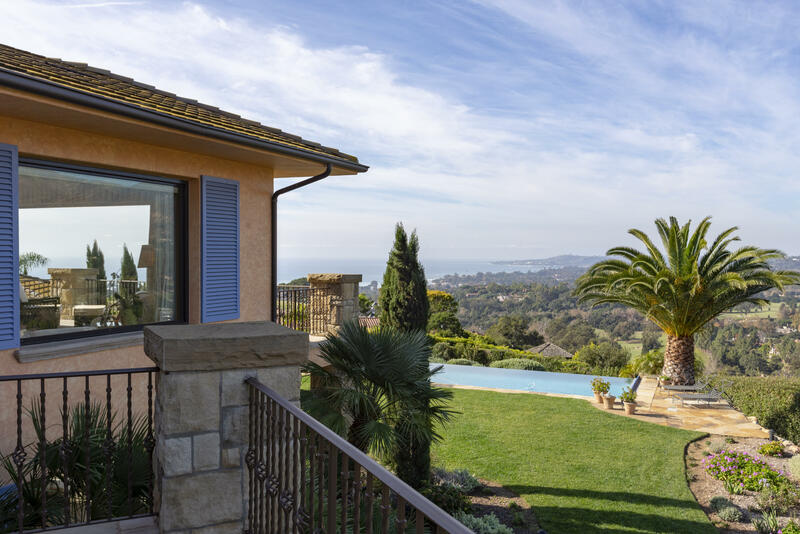 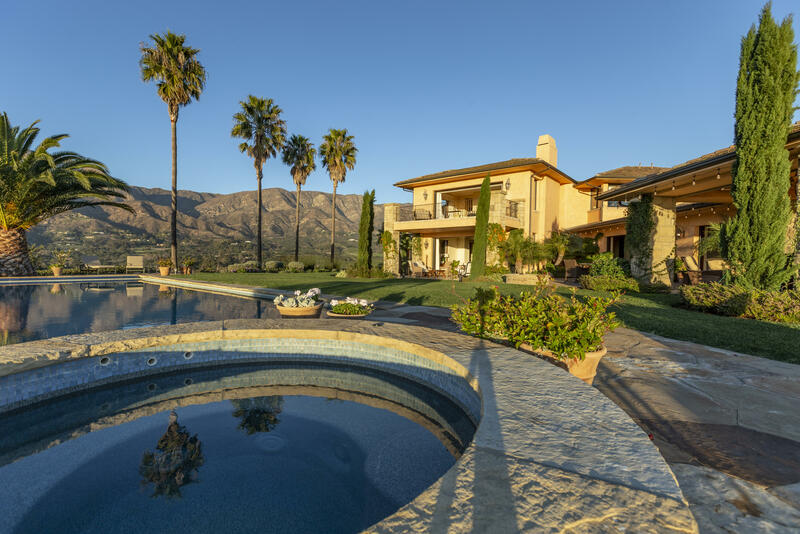 Immerse yourself in epic ocean and mountain view scenery from this breathtaking Tuscan-style villa perched atop Montecito’s coveted Ortega Ridge. 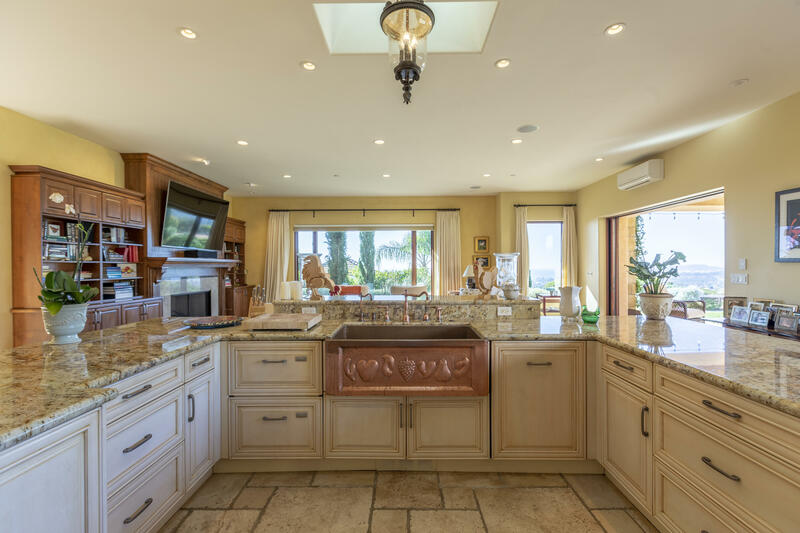 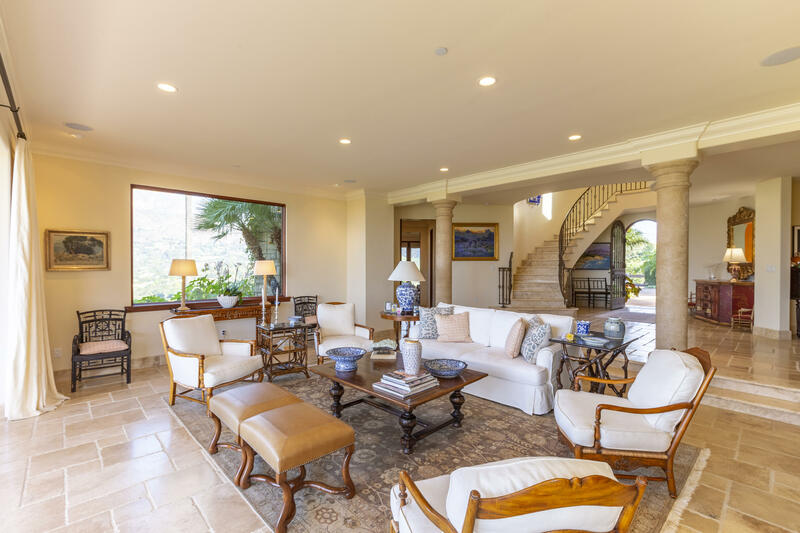 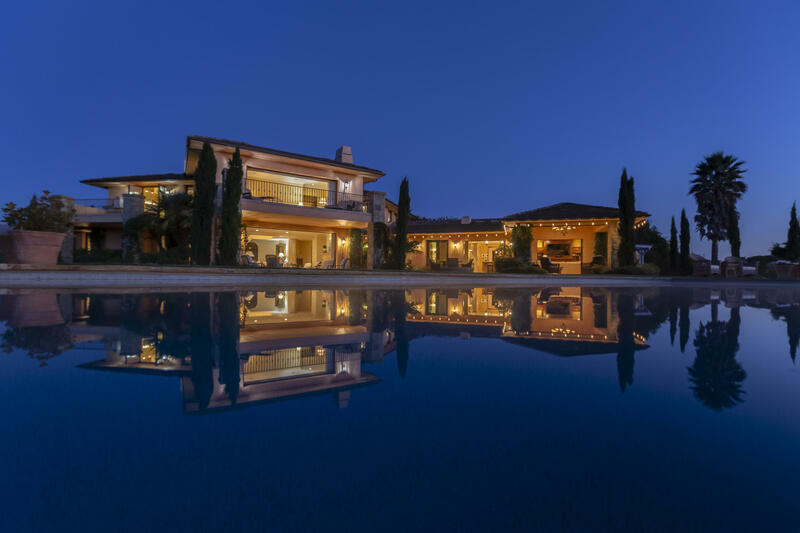 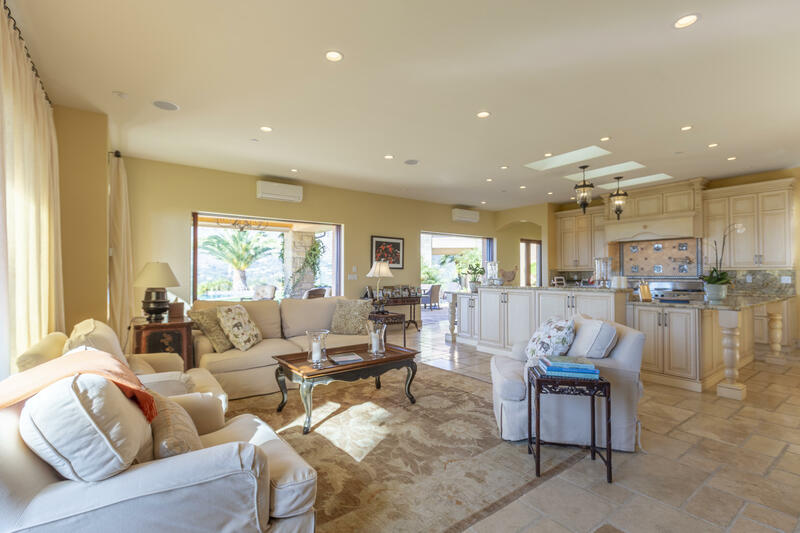 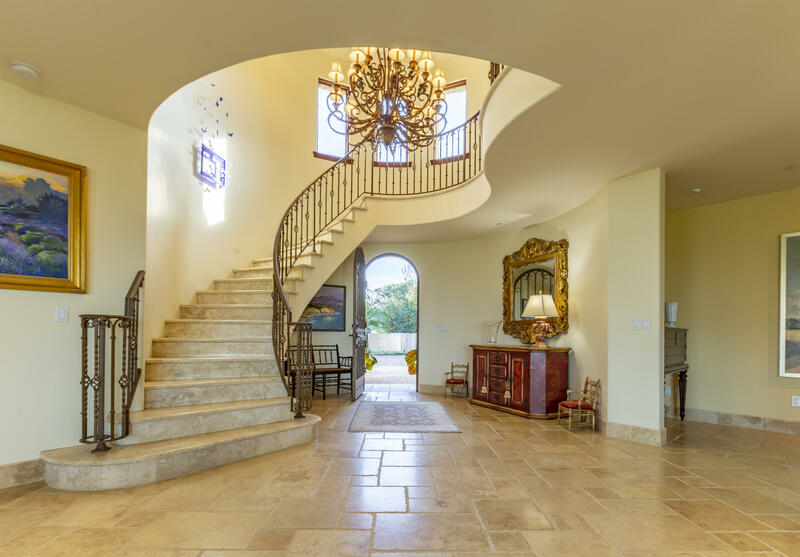 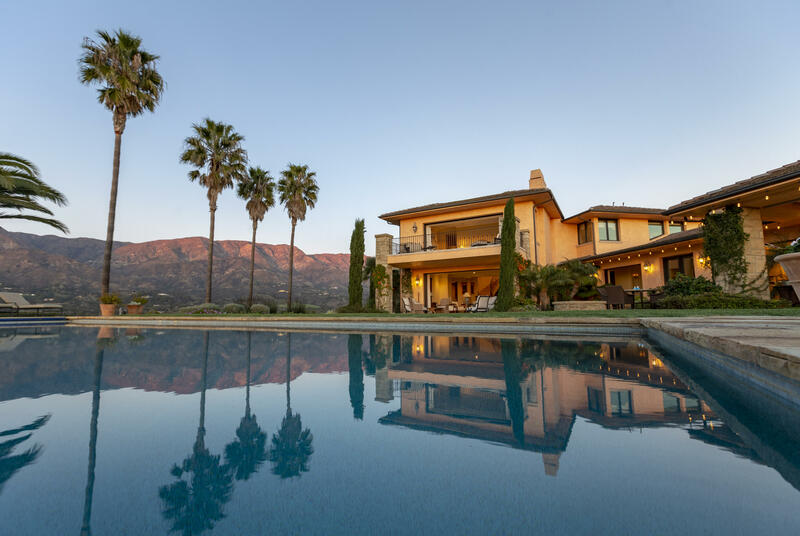 With 5 bedrooms, 5.5 bath, an infinity pool, spa and guest house, this Mediterranean paradise is a marvel of aesthetic integration, using panoramic sliding doors to connect the 5,231 square-feet of interior architecture with the natural beauty encompassing the residence. 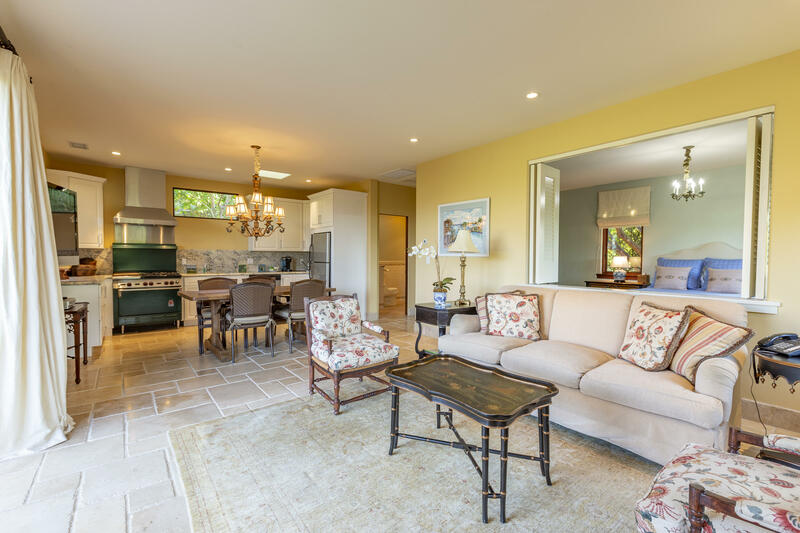 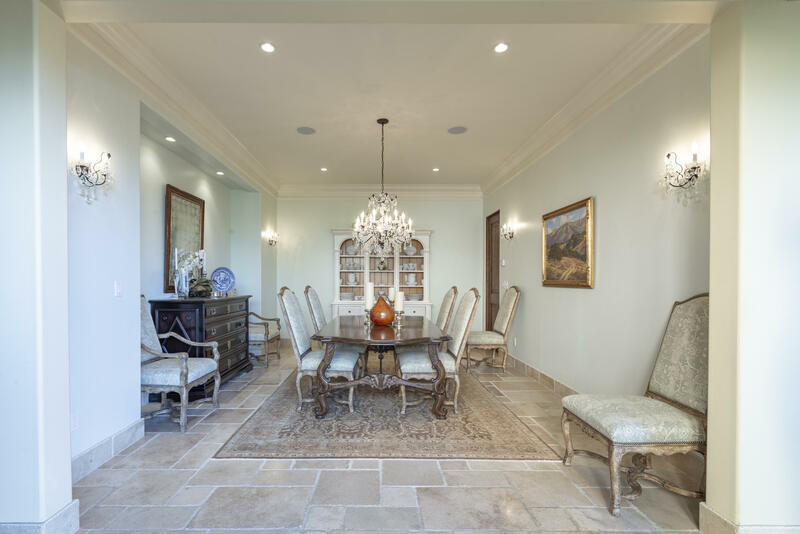 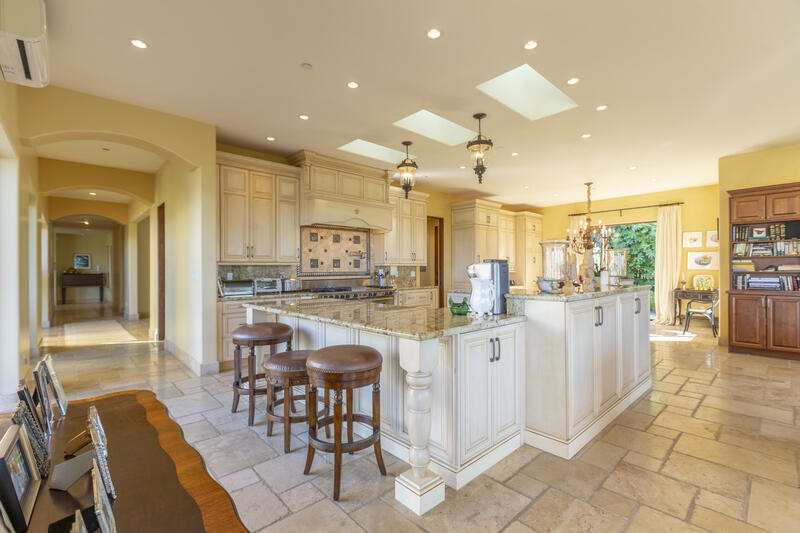 Travertine tiles provide a soft ambiance linking the limestone columns of the living room to the kitchen and family room. 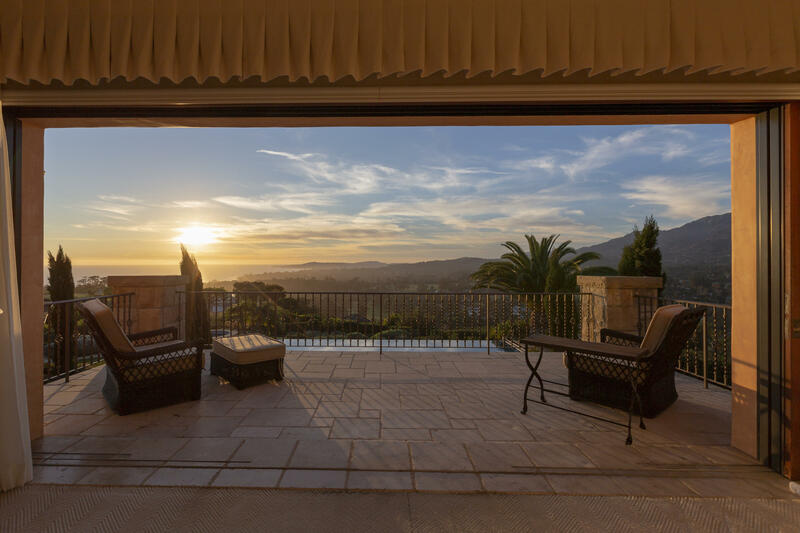 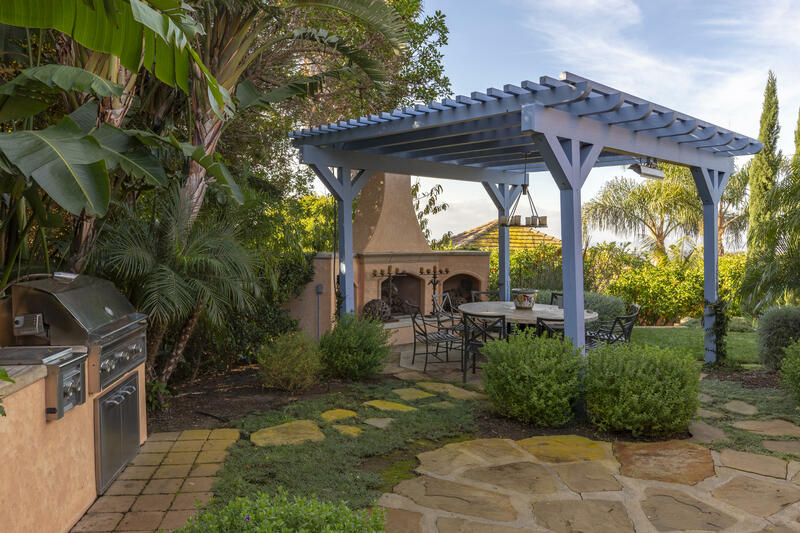 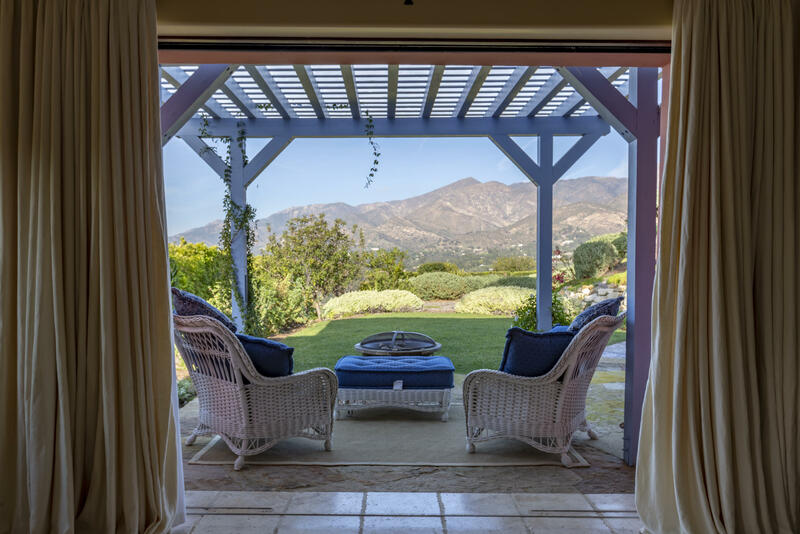 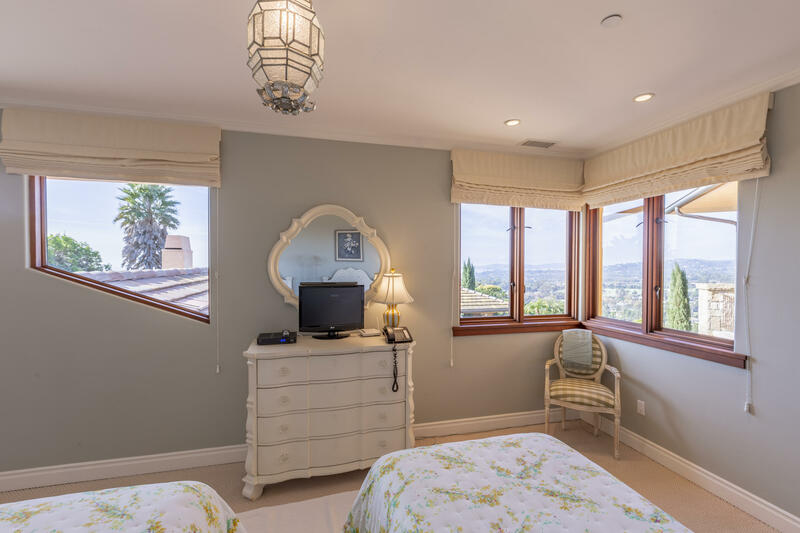 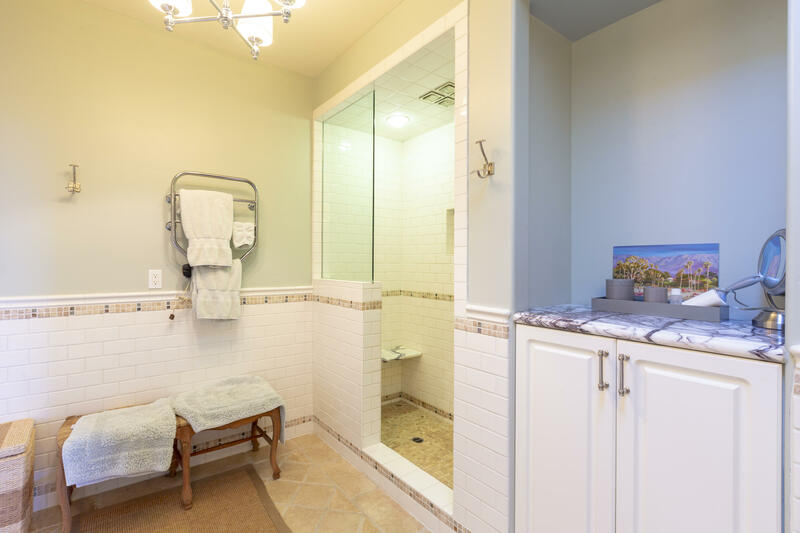 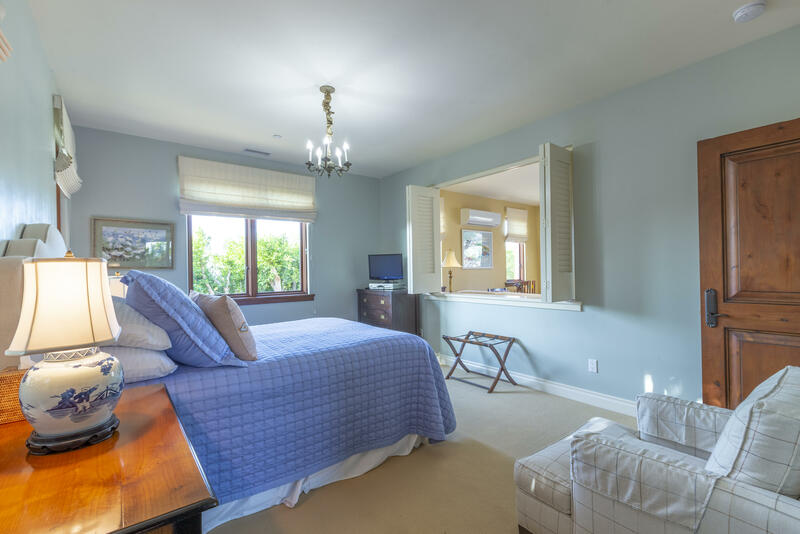 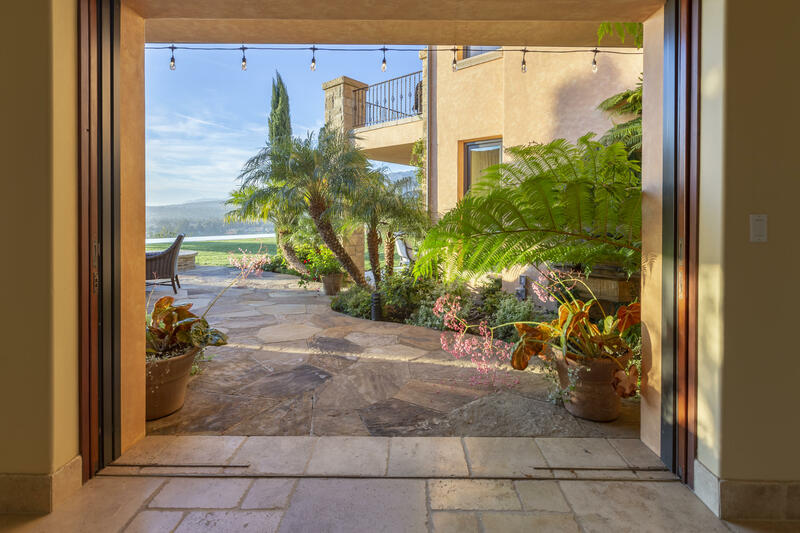 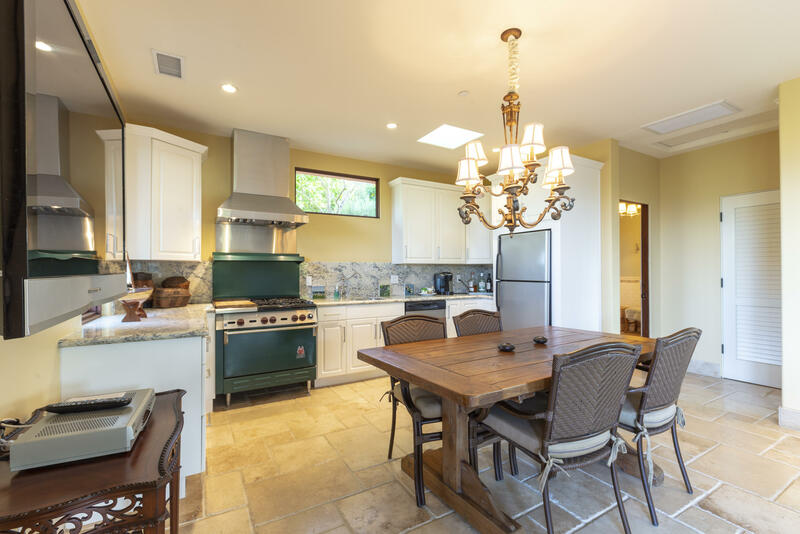 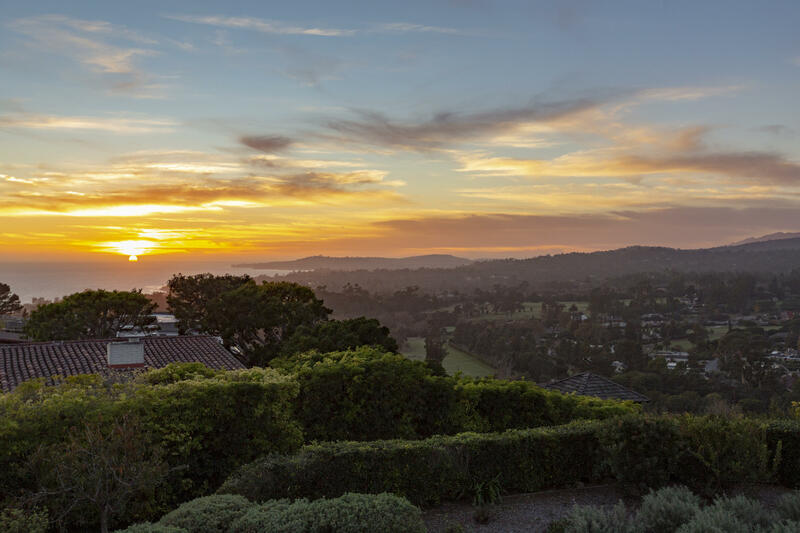 The balcony of the master bedroom upstairs offers sunset views of the coastal plain, while 3 car garage, an elevator, flagstone patios and an outdoor fireplace complete the wondrous setting.